Known as the keepers of modern-day fairy tales, The Brothers Grimm are as legendary as their stories. 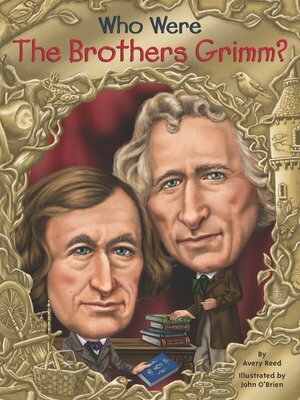 Jacob and Wilhelm Grimm were born in 1780s Germany and were inseparable throughout their childhood. While pursuing their law degrees, the two became fascinated with folktales and folk songs. Together, they researched and published centuries of folklore in their famous early nineteenth-century compilation, Children's and Household Tales. Thanks to the Brothers Grimm, German folk tales like "Rumpelstiltskin," "Little Red Ridinghood," and "Hansel and Gretel" are enjoyed by children everywhere.